What’s more, Netflix has successfully colonized HBO’s home turf in the living room. 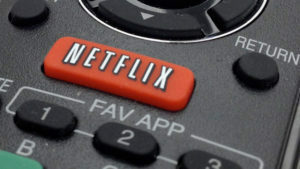 Although today you can watch Netflix on virtually any connected device nearly anywhere in the world, the company reported this week that 70 percent of its streams are delivered to a stationary TV set, either directly via smart TV app, via streaming box, or via its growing number of integrations with traditional pay-TV platforms. For its part, although HBO has successfully launched an over-the-top version of itself, HBO Now, it remains anchored to the legacy economic system of the pay-TV business. A similar dynamic is now playing out across the entire TV ecosystem. As digital brands, from Netflix to Hulu to Amazon, grab a growing share of viewers’ time and subscription dollars, legacy TV brands are racing to remake themselves in digital TV’s image. Last week, Fox Networks Group ad sales chief Joe Marchese told a private gathering of advertising and brand executives that the broadcaster would like to shrink the ad load in its programming to 2 minutes per hour by 2020, down from the current average of 13 minutes per hour for broadcast channels and 16 minutes for cable networks. That follows on a similar announcement by NBCUniversal that it plans to reduce the number of ads in its prime time pods by 20 percent. Time Warner’s Turner networks have also been experimenting with lighter ad loads and plan to expand the program over the next three years. “The whole goal is to make TV look more like digital TV,” NBCU’s executive VP of entertainment ad sales Mark Marshall told Digiday. The efforts don’t end with lighter ad loads. Speaking at a Deutsche Bank investor conference this week, CBS COO Joseph Ianiello said the drive to become more digital is changing how the network invests in content. The network is ramping up its investment in original content for its direct-to-consumer OTT service CBS All Access, with six to seven new series planned for this year on top of the new Star Trek series it launched last year. According to Ianiello, CBS views the increased spending as an investment in subscription growth for CBS All Access, rather than in the typical series P&L, much as Netflix views its content spending. Will it work? Given the accelerating pace of cord-cutting and collapsing valuations among pay-TV providers, the networks have little choice but to try. But the timing of their investments and strategic shifts will be critical, and they have little room for error.